Protesters gathered in Burke before Gov. Ralph Northam was expected to appear at a campaign fundraiser Sunday. In the end, the governor decided against attending the fundraiser for Democratic Sen. Dave Marsden was held at Ponds Community Center. Among the groups represented at the protest were the Fairfax County NAACP and the Republican Party of Virginia. Fairfax NAACP President Kofi Annan told The Washington Post the group was not happy some Democrats have reversed their calls for Northam's resignation. A Northam spokesperson told WTOP the governor cancelled his appearance due to safety concerns for everyone attending. The Virginia governor faced backlash since a photo emerged from his 1984 medical school yearbook showing a person wearing blackface and a second person wearing a KKK costume. He initially apologized for the photo but later said he didn't believe he was either person. 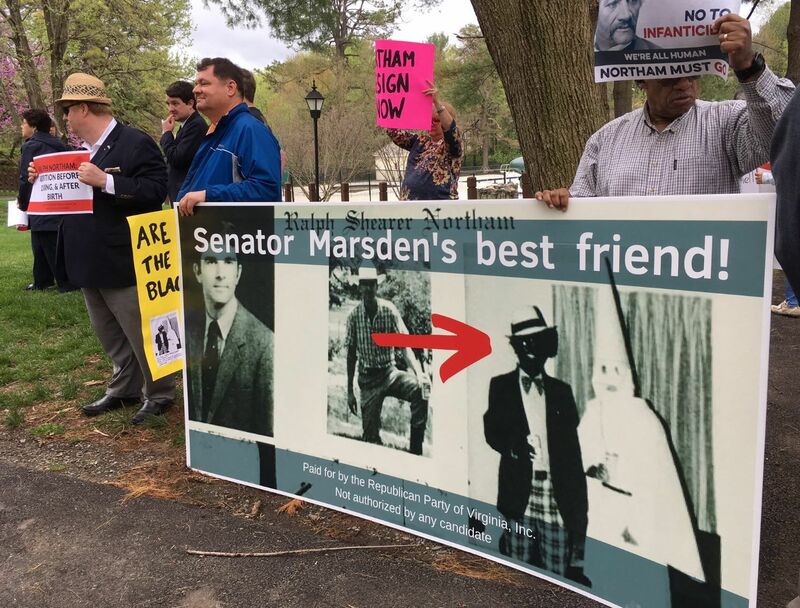 Democrats and Republicans alike called for Northam to resign after the photo was released in February. Marsden is running for re-election in 2019. All Virginia House of Delegates and State Senate seats are up for grabs in November. There is no gubernatorial election in 2019, and Northam cannot run for consecutive terms in 2021 under Virginia law. Edited 2 time(s). Last edit at 04/15/2019 10:38AM by Fox News. This is simply racist and hateful. He's our governor. What is wrong with you people?